It is my honour and pleasure to warmly welcome you to the Chinese Embassy before your trip to China for the 4th China-UK Leadership Forum. I wish to thank Great Britain-China Centre, the co-organizer of the Forum, for its hard work and close cooperation with the Chinese side. First, authoritative and broad representation. The forum draws participants from senior figures of all sectors. The British delegation, for example, consists of government ministers, lords and MPs of all three main parties, business leaders, FCO officials and senior members of academic and media organizations. Third,rightly chosen topics. The forum addresses issues that are highly relevant to our times. 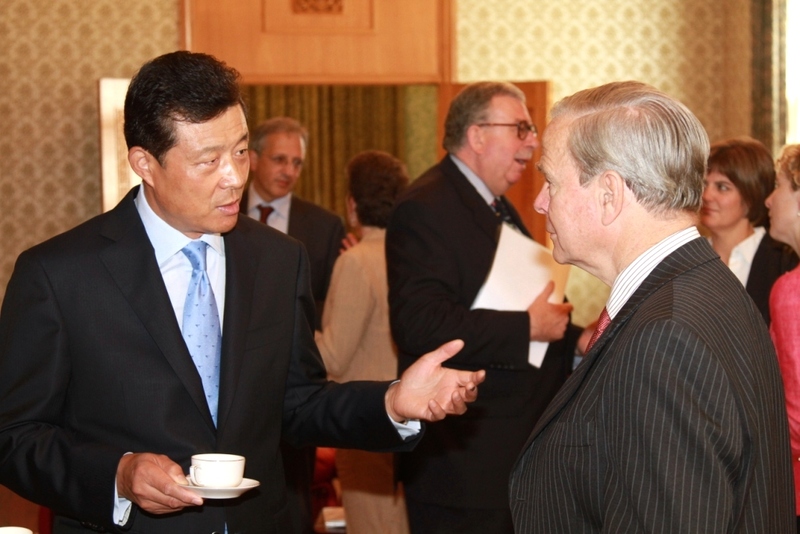 The theme last year was China-UK partnership in the context of the financial crisis. As the world economy improves, this year's discussion will centre around China-UK partnership in the post-crisis era. The first "C" stands for challenges, of which there are plenty. The worst of the financial crisis is now behind us, but many uncertainties still remain. The US and Europe may get slow growth for years, which is bad news for China given our globalized world. Domestically, China faces the challenges of economic restructuring, boosting domestic demand and upgrading its growth model. China may have become the 2nd largest economy in the world, yet its per capita GDP was only 3,700 US dollars in 2009, ranking after 100 plus countries. China also faces huge imbalances among regions and between urban and rural areas, and is making a major effort to narrow income gaps and provide better public services to all its citizens. The second "C" refers to chances or opportunities, which come hand in hand with challenges. The changes in the global economy have provided greater impetus for China to address the underlying structural issues in its economy, from restructuring its industries to nurturing new growth sectors. The opportunities also lie in the go-global endeavors by Chinese companies, which undoubtedly helps them to expand and grow. Furthermore, a global crisis is usually followed by a major technological revolution. The emerging global green revolution based on low-carbon, energy-saving, environment-friendly technologies will help China as it transforms itself to an innovation-based society. The third "C" represents confidence. 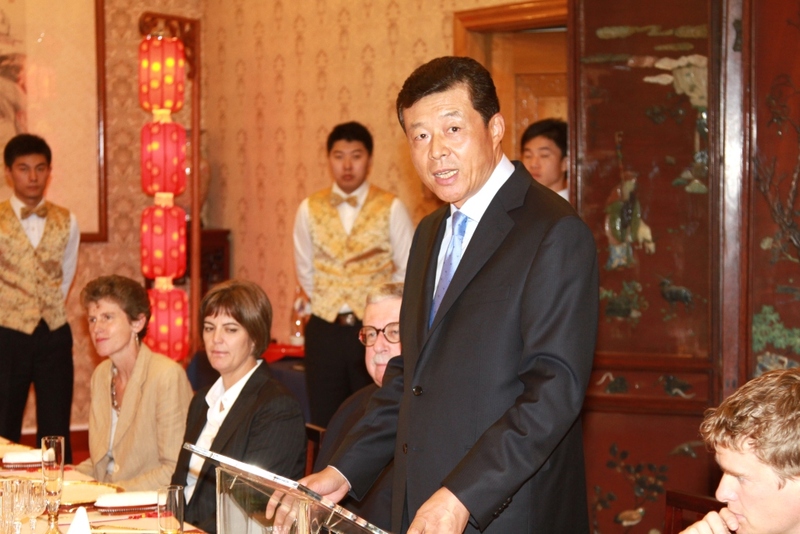 As Premier Wen Jiabao stressed, "Confidence is more precious than gold". It was a crucial factor that led the global economy out of crisis and it is just as important in the post-crisis era. China has a government that is dedicated to respond to people's needs and an open and maturing market system. China is still in the process of industrialization. At least 200 million people will move from the countryside to cities in the next ten years, and the Chinese people will spend ever more. All this will drive sustained economic growth in China in the foreseeable future. We also draw confidence from the perseverance and creativity of the Chinese people. I am glad to learn that some of you are going to the Shanghai World Expo. Tomorrow will be the UK National Pavilion Day, which will be attended by His Royal Highness the Duke of York. This will be a high point in the UK's participation in the Expo. My only worry is that the already popular UK pavilion will get too over-crowded. I went to the UK Pavilion when I was on home leave in the summer. I learnt a lot about how the Seed Cathedral and the Open Park were designed and the ideas they embodied about urban development in the UK. My advice to you is to go slowly, and spend more time in the UK Pavilion. Only in this way can you truly appreciate its connotation. Some Chinese internet-users summarized five reasons why the Shanghai World Expo is a must for visitors. They say the Expo is a five-in-one show, where one sees both China and the world, both the latest technologies of our day and our future, and also diverse cultures. I do hope that through the Expo, you will know more about China, its continuity and change, its openness and opportunities, and its development and progress. To conclude, I wish the China-UK Leadership Forum every success and wish all of you a rewarding trip to China.